For any slip and fall case, liability must be proven in order for the case to be settled or go to trial. 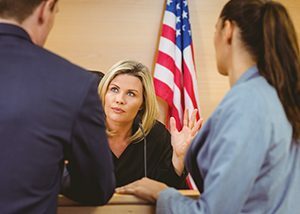 That means you need an experienced, trusted and aggressive lawyer to prove the defendant was negligent. In addition, a slip and fall attorney will need to prove that the defendant’s negligence played a part in causing your injuries. In a car accident case, it is usually straightforward who was at fault for the accident. However, in a slip and fall case proving liability can be much more complex. 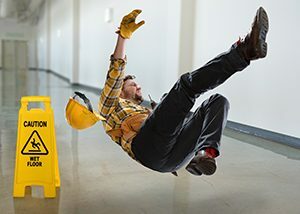 Here are some things you’ll be asked to help prove your slip and fall injury claim. First, your slip and fall lawyer will need to confirm with you how the accident occurred. In other words, how were you injured? An accident can happen in an instant. Sometimes a person doesn’t understand how they went from going up or down the stairs to be on the ground and injured. For example, if you fell down the stairs in a public building and broke your leg. You may be able to sue for negligence. Your attorney will ask you questions such as the following. Call (541) 485-4878 for a free consultation with an experienced slip and fall accident attorney. We can usually tell you over the phone if you have a good case. Our law firm will fight to help you recover every penny you're owed. The aggressive attorneys of Parke Gordon Law Firm believe every client deserves fair compensation against big insurance companies with deep pockets. Call now to speak with an attorney for free and get started on your case.